They say that the best views come from the hardest climb & if you are a nature lover, this climb from Pantwari till Thath camp will be just one to remember. 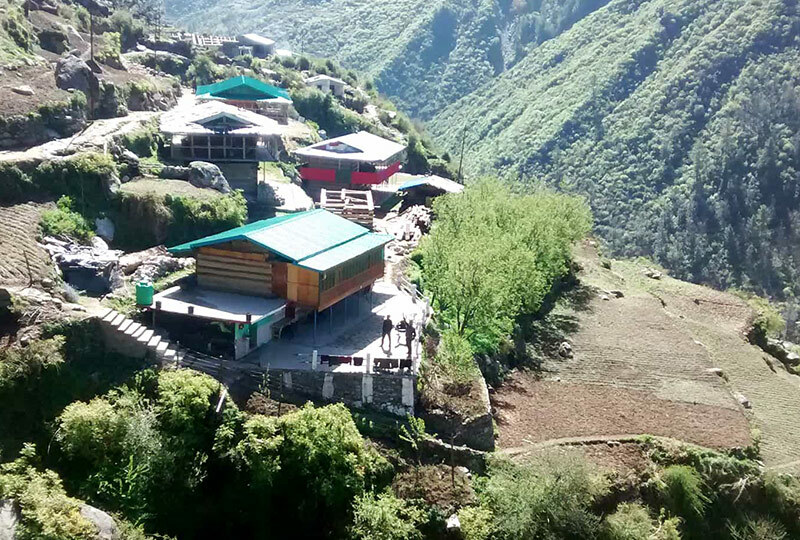 To reach the Thath camp one has to hike from Pantwari village, which lies in the upper fringes of Mussoorie. In the middle of an expansive meadow, the Thath campsite is bestowed with the sheer beauty of nature. 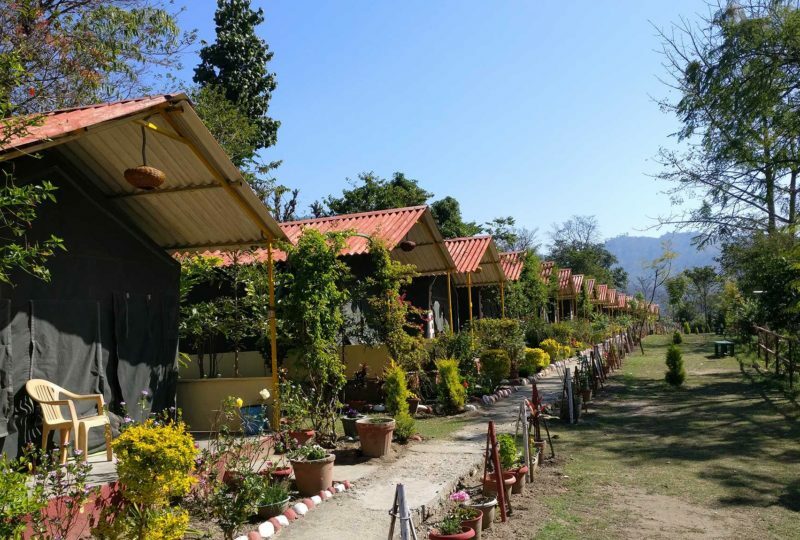 Nagthath Campsite, is a new feather to our cap as we get to you a splendid camping location near Chakrata. Passing through lush green landscape of step farms & amongst the stark mountains of Viraatkhai, one can trek till Nagthath campsite. Flowers galore and a view of the valley that could only be described as breathtaking. If you were to trek till Nagthath, the trail passes through the brilliant rhododendron forest and the route is lined with daisies, a pleasing sight for outdoor lovers. With breathtaking 360 degree views the trail ends amidst wheat and potato fields. The sun streaking through the stalks will be a sight to behold, with flecks of gold shining through. 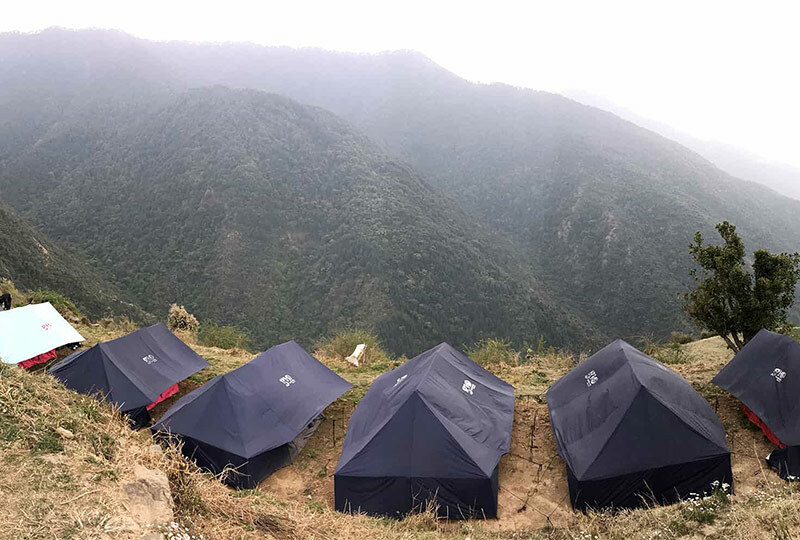 The beauty of this short trek is enough to get you going for your next step that is the camping experience. 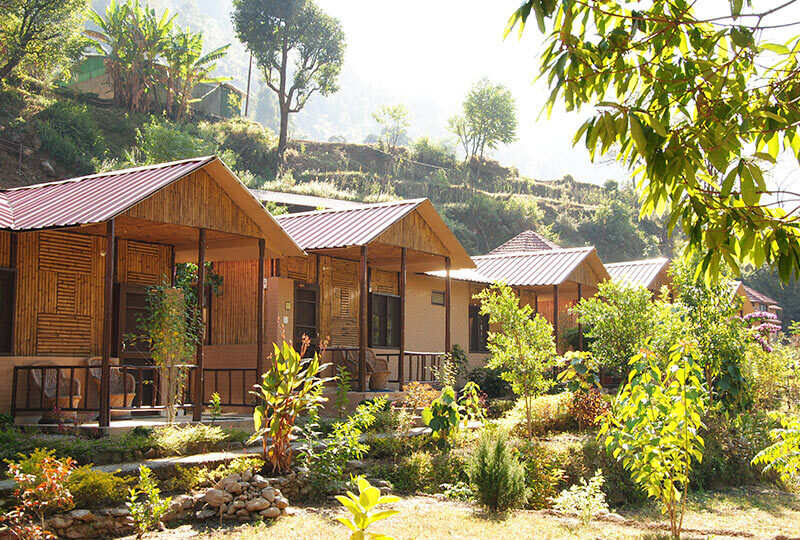 Explore the lovely nature trails in walks around the campsite which will come alive with vast mustard fields. A walk by the bridge next to the lodge, will take you past the cosy pastoral houses of ever smiling locals. 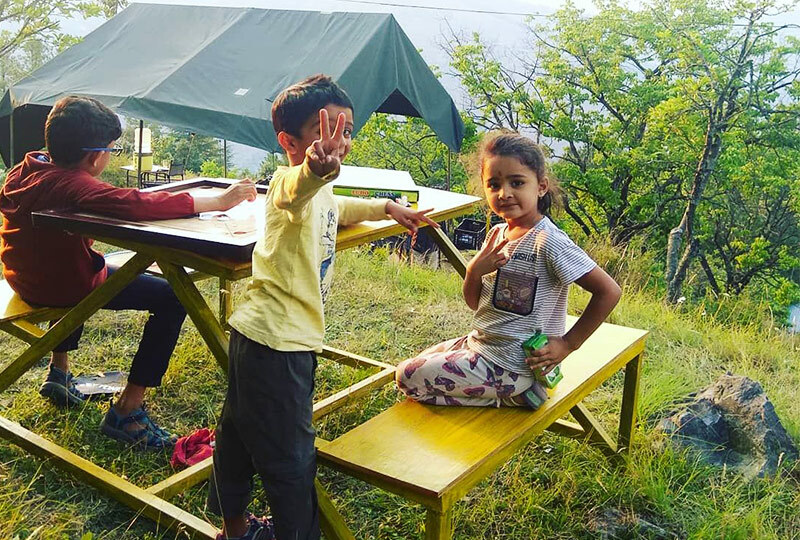 Camp Racchu’s Den is a great base for Active Vacations, with several spots for rock & rope activities, stream walk, river rafting, swimming in the natural pools, birding & much more. This is where all stereotypes of natural beauty converge and yet, it’s nothing like anything you would have seen before. The raw beauty of the Himalayan villages, gurgling rivers and towering peaks, are truly humbling. 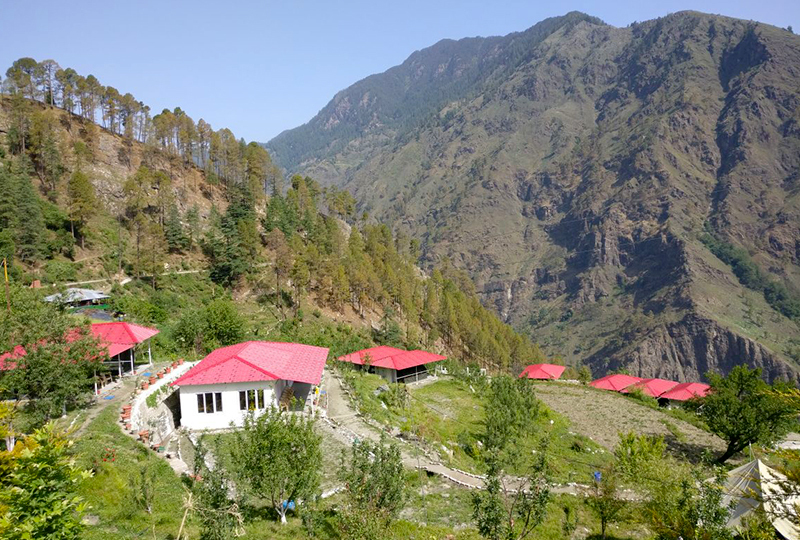 Kund is a small village in the Mandakini River valley, where the Himalayan Eco Lodge, Verdant Valley, offers a fun-filled holiday for all ages. If switching off from city-life and exploring the outdoors with the entire family is on the agenda, this is the place for you.